Chelsea Green Publishing Company, 9781603587891, 272pp. 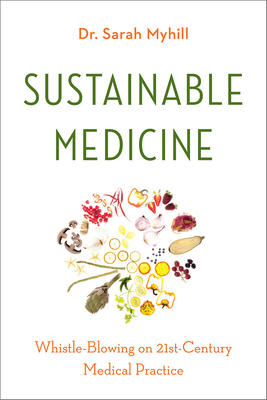 Sustainable Medicine is based on the premise that twenty-first century Western medicine--driven by vested interests--is failing to address the root causes of disease. Symptom-suppressing medication and "polypharmacy" have resulted in an escalation of disease and a system of so-called "health care," which more closely resembles "disease care." In this essential book, Dr. Sarah Myhill aims to empower people to heal themselves by addressing the underlying causes of their illness. She presents a logical progression from identifying symptoms, to understanding the underlying mechanisms, to relevant interventions and tests and tools with which to tackle the root causes. As Myhill writes, "It's all about asking the question 'why?'" Sustainable Medicine covers a wide range of symptoms including inflammation (infection, allergy, autoimmunity), fatigue, pain, toxic symptoms, deficiency symptoms, and hormonal symptoms. And Dr. Myhill includes a toolbox of treatments for specific illnesses and ailments, as well as a general approach to avoiding and treating all disease. Finally, she offers a series of case histories to show how people have successfully taken control of their health and healed even in the face of the most discouraging symptoms--all without the harmful interventions of 21st century Western medicine.